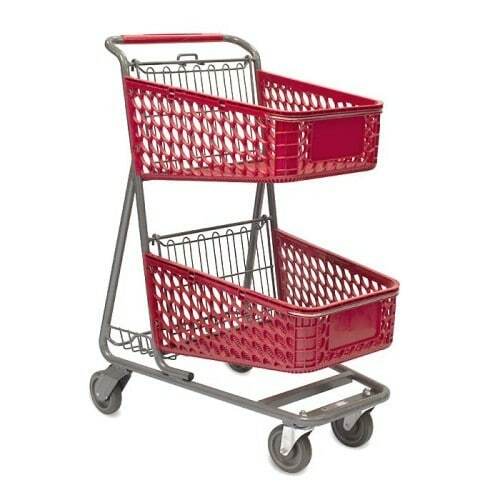 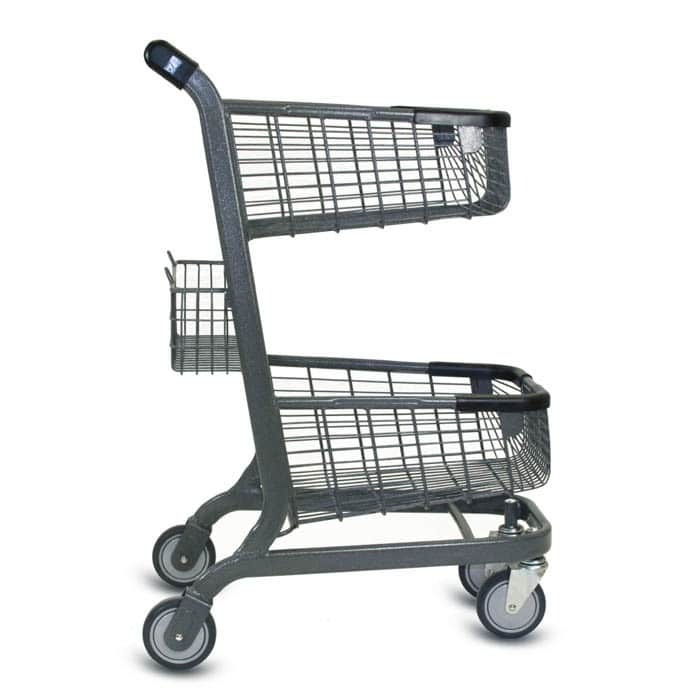 Convert your basket shoppers into cart shoppers with a convenience cart. 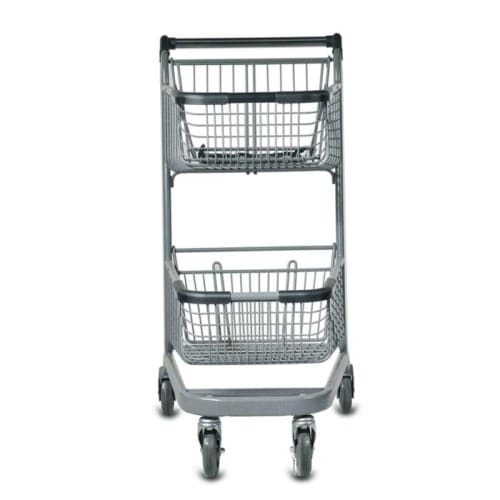 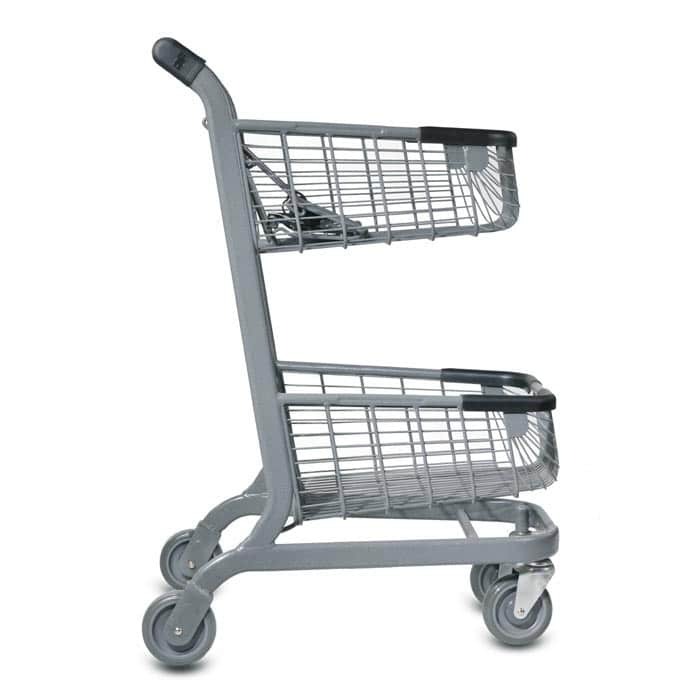 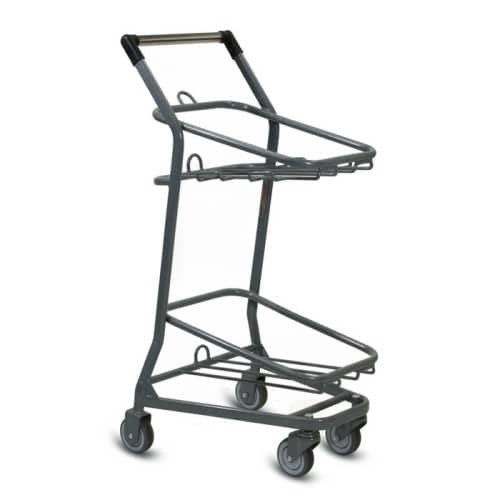 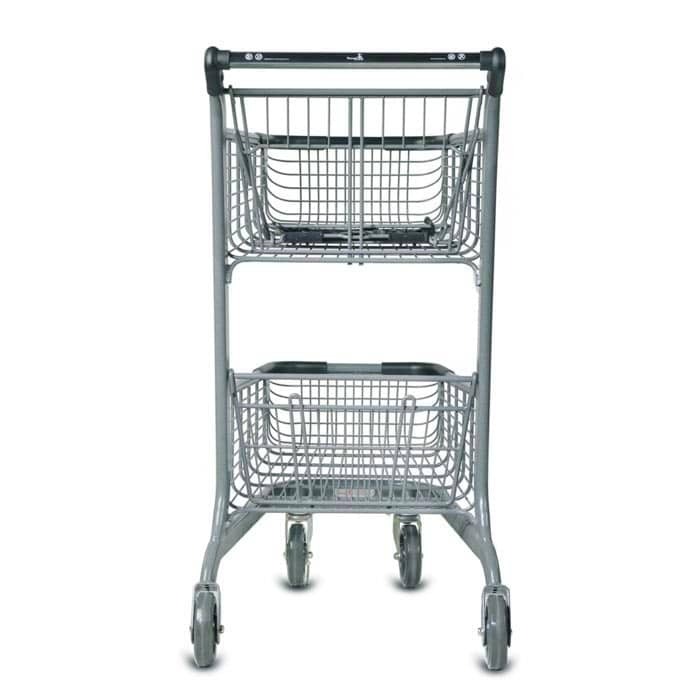 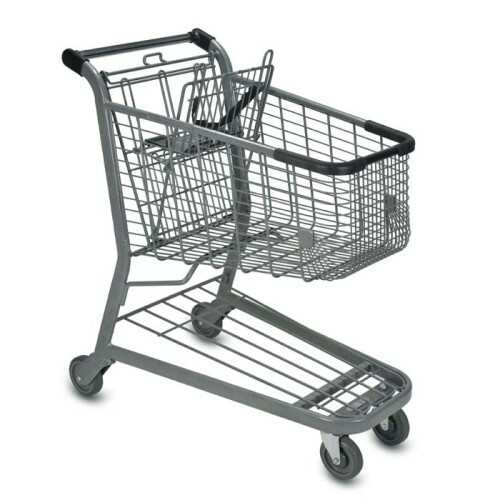 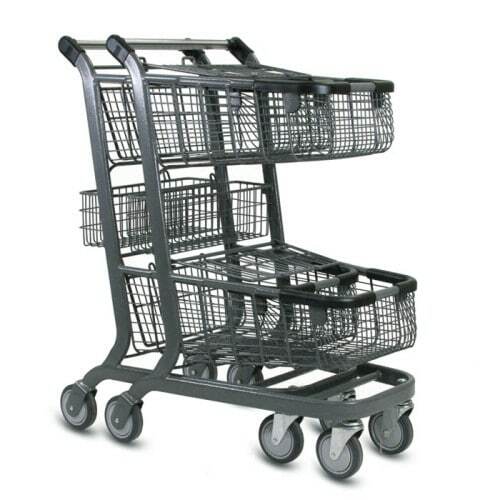 Convenience carts are the perfect solution for customers who shop several times a week. 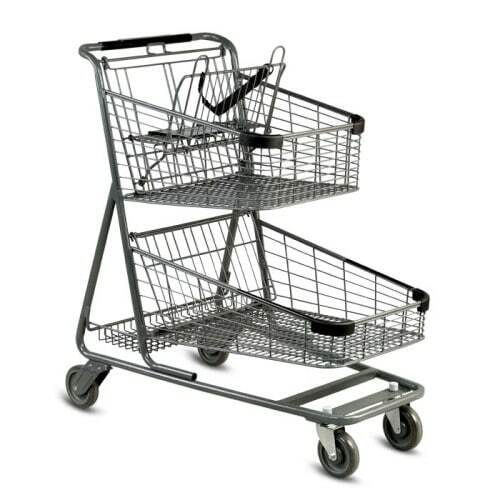 Singles, couples and the elderly will also find this solution helpful. They add extra convenience to your store by allowing customers to easily navigate crowded aisles, while having enough capacity to fit a medium shop. Happy customers shop for longer and spend more. The EXpress6000 wire convenience shopping cart was created to fill the gap between hand baskets and larger traditional shopping carts. 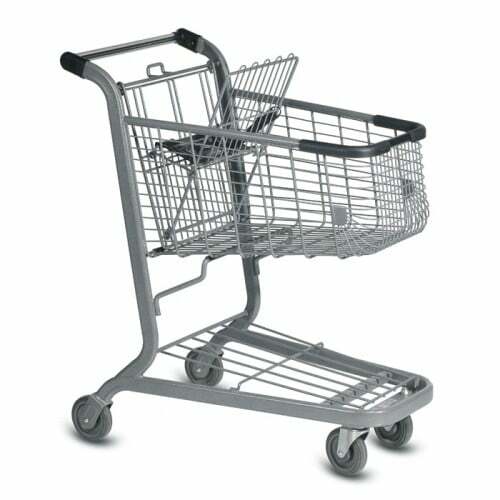 Our designers wanted to create a shopping cart that would improve the shopping experience for the end user while increasing sales and patronage for our customers. 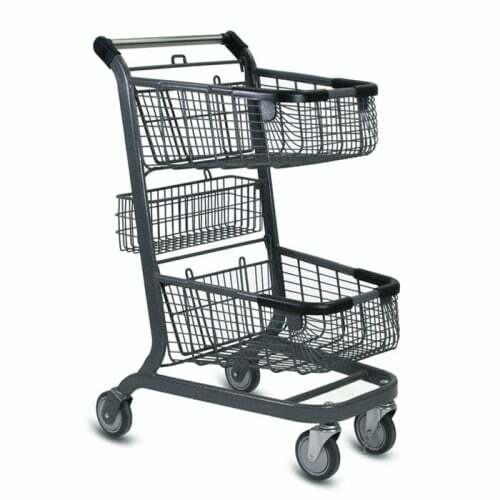 Convenience or Express style shopping carts allow traditionally hand basket shoppers to shop comfortably and with ease without being weighed down by a basket. 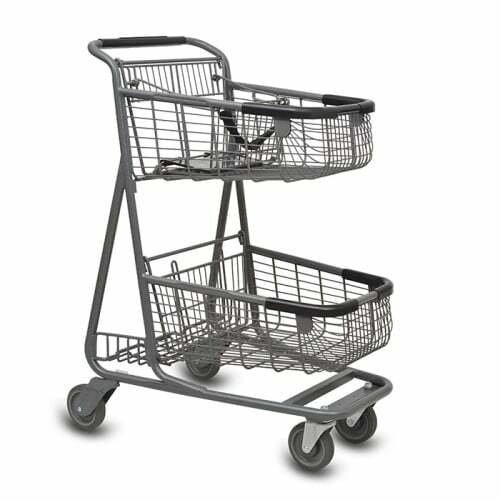 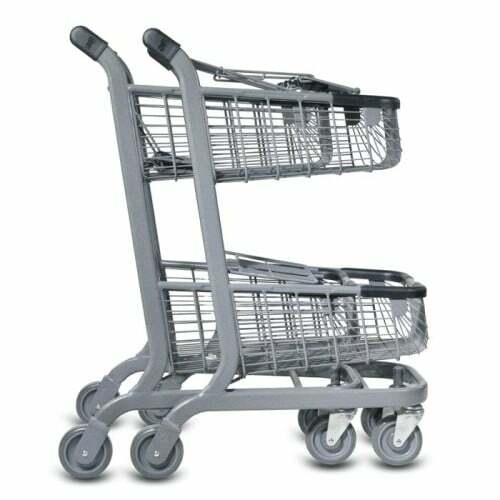 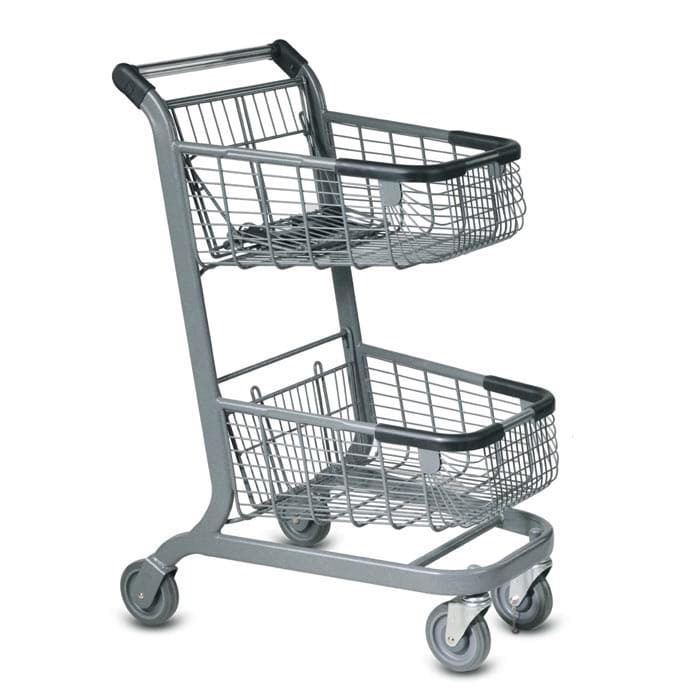 The two basket construction means customers can shop for much more than before and the EXpress6000’s shorter wheelbase makes maneuvering them around a busy store an easy or even pleasurable experience. 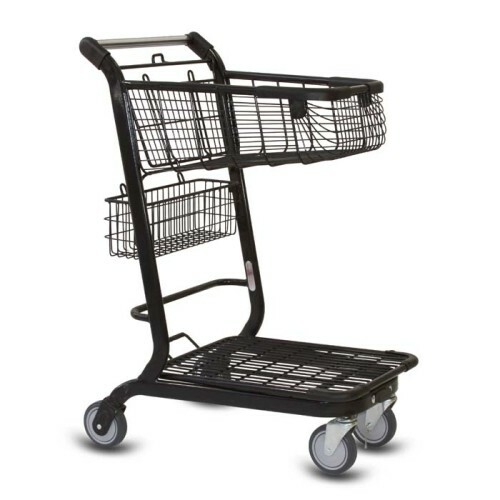 The rounded edges and retro style of the EXpress6000 offer a different take on the traditional lines of shopping carts allowing you to differentiate your look and can be matched with other carts in the E-Series line for a seamless look across all of your customer facing store equipment. 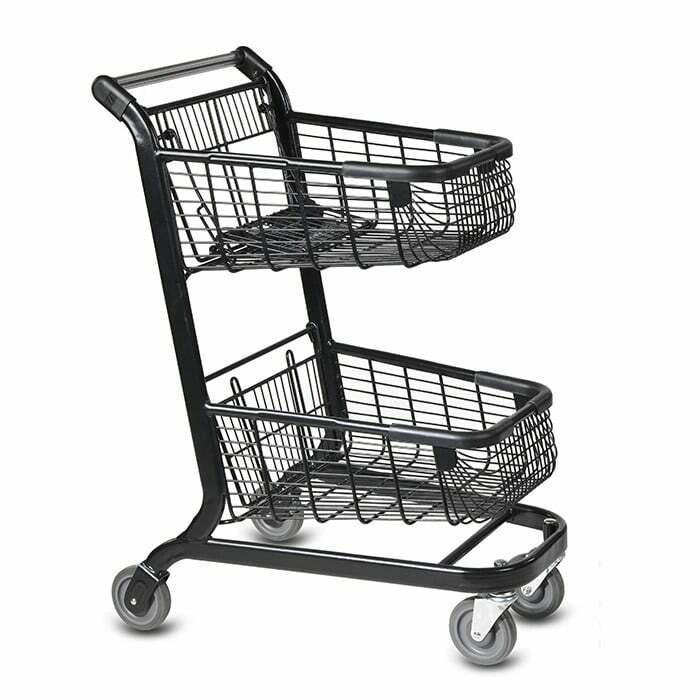 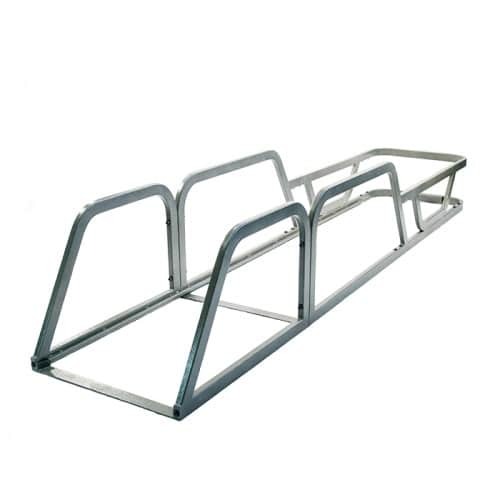 Designed with a wider space between baskets to allow customers to easily place large or bulky items in the bottom basket, encouraging full usage of the cart. 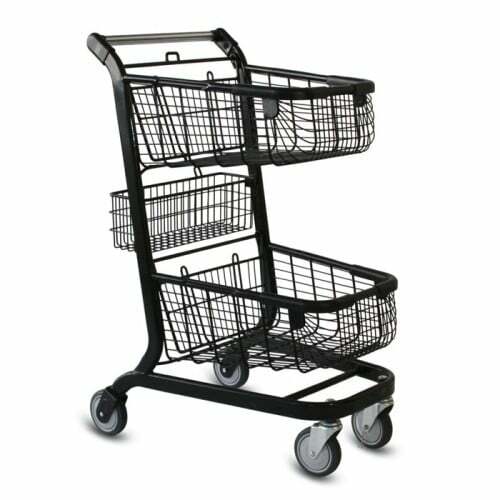 The EXpress6000 also comes with a purse or bag hook so customers can hang their bags outside of the shopping baskets keeping them clear for salable items. 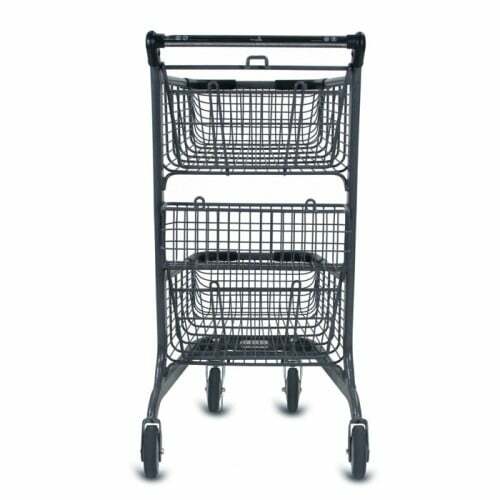 The EXpress6000 is offered with either an ASTM compliant child seat, designed to the highest standards for safety, or with a back basket to increase the overall shopping capacity of this convenience style shopping cart. purse hook allowing customers to stow bags outside of the baskets, keeping them free for salable items.